Despite sharing the market with two rivals, Hexindo continues to expand and grow, especially in the niche of large heavy equipment. 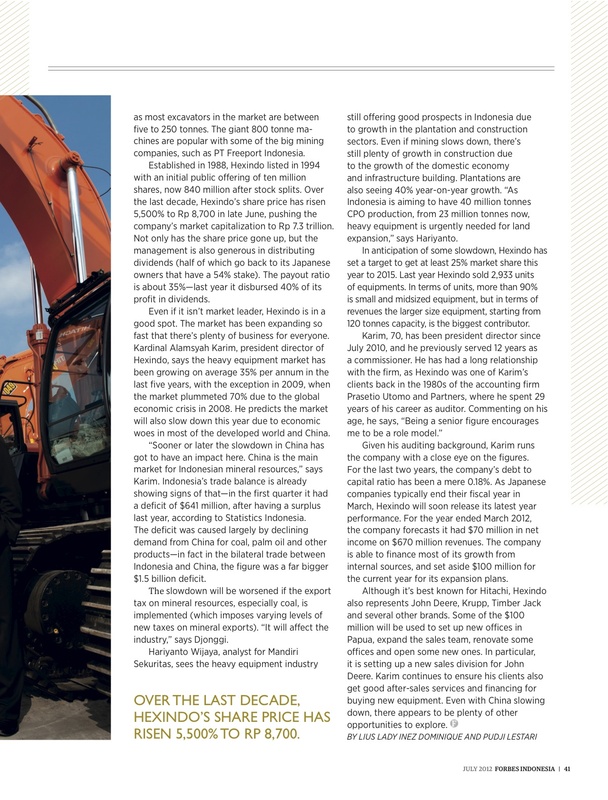 The heavy equipment market in Indonesia has long been a three-way battle between a trio of heavyweight companies—the market leader PT United Tractor, owned by Astra International, number two PT Trakindo Utama, owned by billionaire Achmad Hamami, and number three PT Hexindo Adiperkasa, owned by Japan’s Hitachi. Each is the exclusive distributor for one big brand, with United Tractor selling Japan’s Komatsu, Trakindo partnered with the U.S.’s Caterpillar, and Hexindo with Hitachi. Yet there signs of a shift in the power structure. 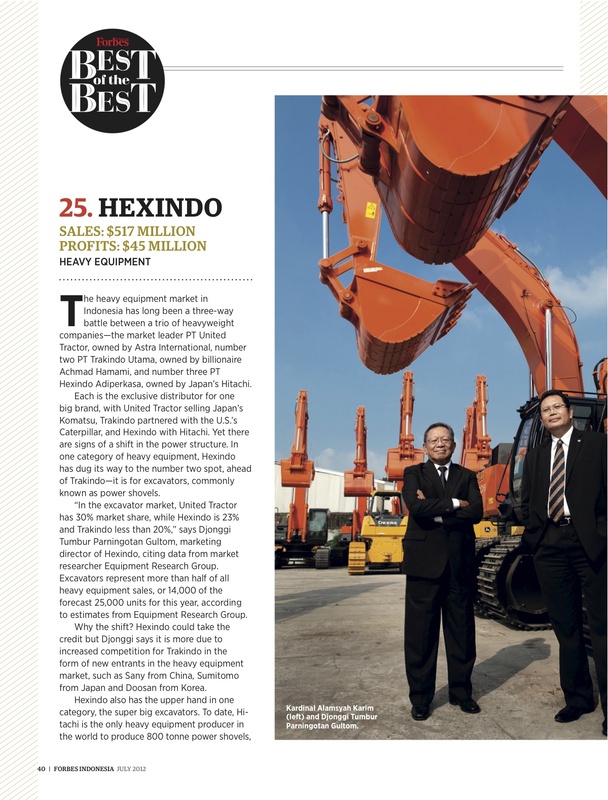 In one category of heavy equipment, Hexindo has dug its way to the number two spot, ahead of Trakindo—it is for excavators, commonly known as power shovels. “In the excavator market, United Tractor has 30% market share, while Hexindo is 23% and Trakindo less than 20%,” says Djonggi Tumbur Parningotan Gultom, marketing director of Hexindo, citing data from market researcher Equipment Research Group. Excavators represent nearly half of all heavy equipment sales, or 14,000 of the forecast 25,000 units for this year, according to estimates from Equipment Research Group. Why the shift? 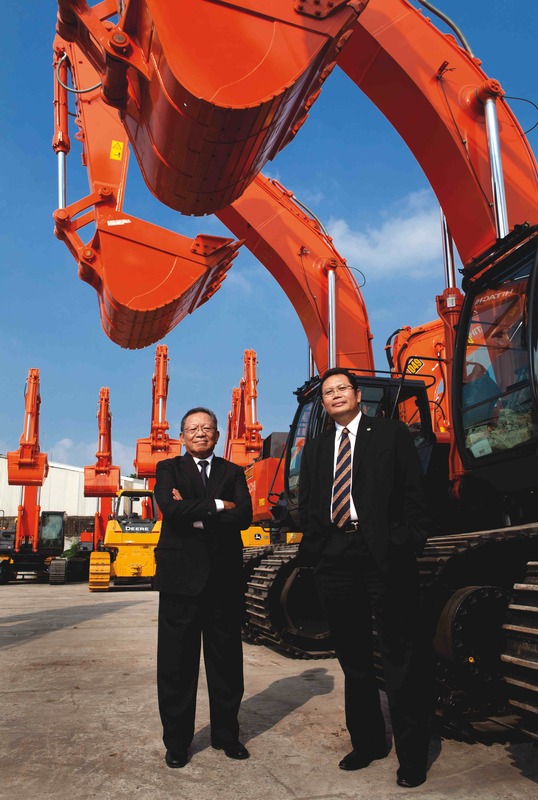 Hexindo could take the credit but Djonggi says it is more due to increased competition for Trakindo in the form of new entrants in the heavy equipment market, such as Sany from China, Sumitomo from Japan and Doosan from Korea. Hexindo also has the upper hand in one category, the super big excavators. To date, Hitachi is the only heavy equipment producer in the world to produce 800 tonne power shovels, as most excavators in the market are between 5 to 250 tonnes. The giant 800 tonne machines are popular with some of the big mining companies, such as PT Freeport Indonesia. Established in 1988, Hexindo listed its shares in 1994 with an initial public offering of ten million shares, now 840 million after stock splits. Over the last decade, Hexindo’s share price has risen 5,500% to Rp 8,700 in late June, pushing the company’s market capitalization to Rp 7.3 trillion. Not only has the share price gone up, but the management is also generous in distributing dividends (half of which go back to its Japanese owners that have a 54% stake). The payout ratio is about 35%—last year it disbursed 40% of its profit in dividends. Even if it isn’t market leader, Hexindo is in a good spot. The market has been growing so fast that there’s plenty of business for everyone. Kardinal Alamsyah Karim, president director of Hexindo, says the heavy equipment market has been grow on average 35% per annum in the last five years, with the exception in 2009, when the market plummeted 70% due to the global economic crisis in 2008. He predicts the market will also slow down this year due to economic woes in most of the developed world and China. “Sooner or later the slowdown in China has got to have an impact here. China is the main market for Indonesian mineral resources,” says Karim. Indonesia’s trade balance is already showing signs of that—in the first quarter it had a deficit of $641 million, after having surplus last year, according to Statistics Indonesia. The deficit was caused largely by declining demand from China for coal, palm oil and other products—in fact in the bilateral trade between Indonesia and China, the figure was a far bigger $1.5 billion deficit. The slowdown will be worsened if the export tax on mineral resources, especially coal, is implemented (which imposes varying levels of new taxes on mineral exports). “It will affect the industry, mostly the retails as they cannot compete with the bigger ones.” Retails contribute up to 15% of Hexindo’s sales of equipments,” says Djonggi. Hariyanto Wijaya, analyst for Mandiri Sekuritas, sees the heavy equipment industry still offering good prospects in Indonesia due to growth in the plantation and construction sectors. Even if mining slows down, there’s still plenty of growth in construction due to the growth of the domestic economy and infrastructure building. Plantations are also seeing 40% year-on-year growth. “As Indonesia is aiming to have 40 million tonnes CPO production, from 23 million tonnes now, heavy equipment is urgently needed for land expansion,” says Hariyanto. In anticipation of some slowdown, Hexindo has set target to get at least 25% market share this year to 2015. Last year Hexindo sold 2,933 units of equipments. In terms of units, more than 90% is small and midsized equipment, but in terms of revenues the larger size equipment, starting from 120 tonnes capacity, is the biggest contributor. Given his auditing background, Karim runs the company with a close eye on the figures. For the last two years, the company’s debt to capital ratio has been a mere 0.18%. As Japanese companies typically end their fiscal year in March, Hexindo will soon release its latest year performance. For the year ended March 2012, the company forecasts it had $70 million in net income on $670 million revenues. The company is able to finance most of its growth from internal sources, and set aside $100 million for the current year for its expansion plans. Although it’s best known for Hitachi, Hexindo also represents John Deere, Krupp, Timber Jack and several other brands. Some of the $100 million will be used to set up new offices in Papua, expand the sales team, renovate some offices and open some new ones. In particular, it is setting up a new sales division for John Deere. Karim continues to ensure his clients also get good after-sales services and financing for buying new equipment. Even with China slowing down, there appears to be plenty of other opportunities to explore. * This story appears in the July 2012 issue of Forbes Indonesia. 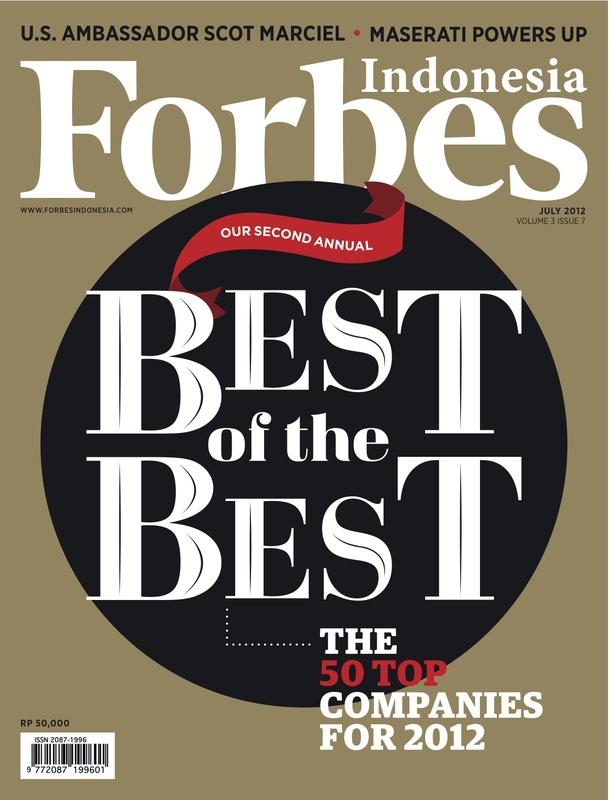 Hexindo is one of the 50 Best of the Best companies in 2012. This entry was posted in Companies, Publications and tagged Djonggi Gultom, excavator, heavy equipment, Hitachi heavy equipment, John Deere, Kardinal Alamsyah Karim, Krupp, PT Freeport Indonesia, PT Hexindo Adiperkasa, PT Trakindo Utama, Timber Jack, United Tractors by Pudji Lestari. Bookmark the permalink.